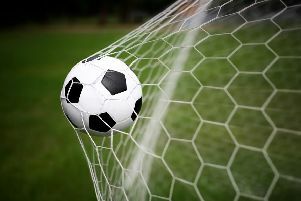 Ferring Football Club face another anxious wait to discover whether they will remain a Southern Combination League team for next season. Manager Dave Mugridge, who has failed to win any of his 15 matches in charge since taking over from joint management duo Carl Stocker and Mark Burgess in October, saw his side slump to a 2-0 defeat at Jarvis Brook on Saturday. Ferring’s 20th loss in 24 league games this season has left them seven points adrift at the foot of the table with just two games to play. Mugridge’s side will finish bottom but the club will be hoping for another reprieve, just as they received last season. Ferring, who finished bottom of Division 2 last term as well, have won just one of their past 52 league matches. A decision on whether Ferring will remain in the SCFL will be made next month. Goals in each half from Victor Penfold and Patrick Rose took Jarvis Brook to victory on Saturday. Penfold got the opener seven minutes before the break and Rose netted on the hour to wrap up victory and leave Ferring rooted to the bottom.